You'll notice that I conveniently numbered all of the pots in the order I'm gong to profile the plants :) I love it when I plan ahead. So let's begin! Orangemint is sometimes only known as a variety of water mint (Mentha arvensis), but I like to consider it a separate species. Currently, whether it's a species or a variety is still up for debate since DNA studies can't quite rule out either option. 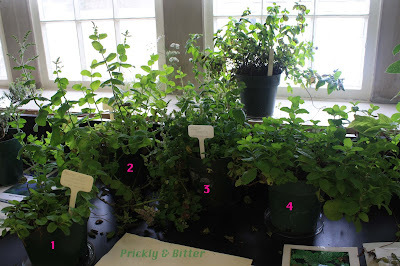 Mints are notorious for being able to cross-pollinate each other regardless of what species they are, so there is a lot of genetic contamination of most "wild" populations, and greenhouse populations (unless bred to be sterile) are no better. Due to the huge difference in texture and shape of the leaves, I like to think it's a separate species. It's likely native to the Mediterranean (although this is debatable since it has been cultivated for so long in so many other locations it's hard to tell), and is potentially invasive in some areas (but not southwestern Ontario where I am). 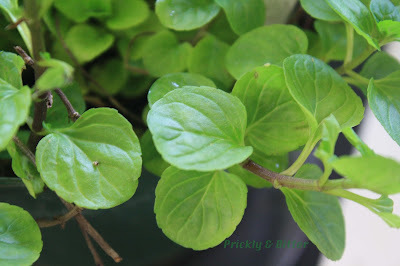 So what is different about the texture and shape of orangemint leaves? Well, for one they're rounded. The reason why "spearmint" is called SPEARmint is because of the shape of the leaves: almost all leaves in the genus Mentha are very pointed at the end and have sharp teeth along the edges of the leaves. Right away this plant is definitely an oddity in the genus. 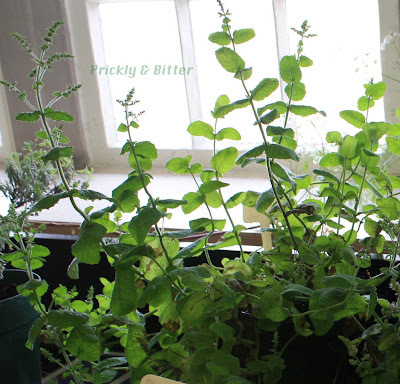 The leaves are also much fleshier than other species of mint, and have a bit of a water storing capacity even if they aren't true succulent plants. This characteristic makes orangemint pleasant to eat...to a point. It has a much more satisfying chew to it than other species of mint, the leaves aren't as hairy and so don't give you as much of a "hairy tongue" feeling when you're eating it, but BOY does this plant ever pack a punch. Unfortunately, despite the leaves smelling like an orange grove in Florida or California, they don't taste a bit like what they smell. In fact, after chewing the leaves for a few seconds it's downright unpleasant. Like most members of the mint genus, this plant has a dirty little secret. It has been used for centuries in a tea-like preparation as a medicinal beverage, and has been used to help everything from stomach aches and nausea to preventing or treating seizures. The pure extracted essential oils do show a lot of great medicinal potential for a variety of medical ailments (although not sold commercially for any disease, disorder, or symptom), but it's secret is that it is a potent carcinogen and mutagen. In fact, consumption of too much orangemint tea when pregnant will almost certainly lead to miscarriage. If it doesn't, there is a strong possibility for severe developmental deformities in the fetus (or embryo, depending on time of consumption during pregnancy). Because the compounds in orangemint extract are mutagenic, they cause DNA mutations which are irreversible. Always use extreme caution before consuming any "herbal" remedy during pregnancy. Just because it's "natural" doesn't mean it's safe! 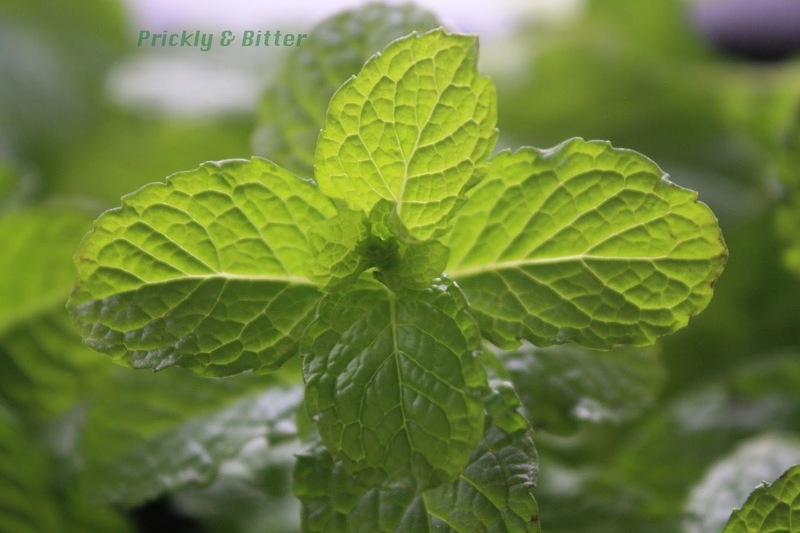 Next up we have the plant most commonly used to create the plant extract known as "menthol," peppermint. 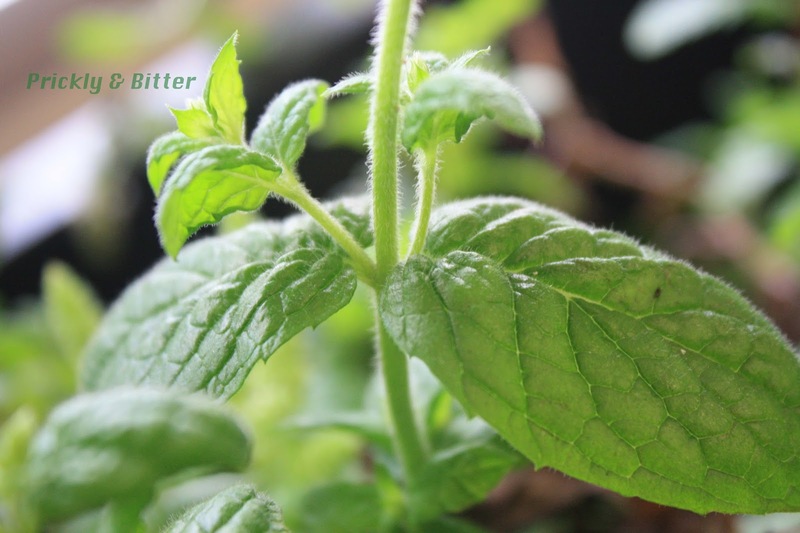 There are actually numerous species of Mentha that are used for this purpose, but the specific cultivar referred to as "menthol mint" is used most commonly because it has been bred to contain very high concentrations of this chemical. Peppermint is most probably native to Europe (there's the same problem as with orangemint for determining where exactly this species is native to based on the incredible amount of cultivation of this hybrid around the world), and is incredibly invasive in almost all areas it's planted. 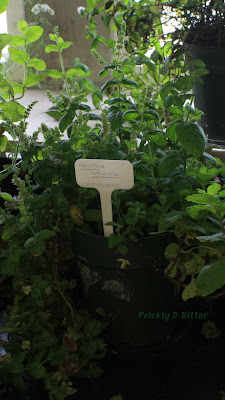 One of the great things to note about many species of mint is that they are sterile hybrids. This means that the plant produces flowers, but these flowers don't have the ability to produce seeds. This is a great characteristic, especially in a potentially invasive species, because it means that the chance of this plant getting out of control can potentially be avoided. Unfortunately, there are two problems with this idea when it comes to peppermint: one, this hybrid isn't sterile (oops); and two, this plant produces below-ground biomass almost as quickly as it produces above-ground biomass. 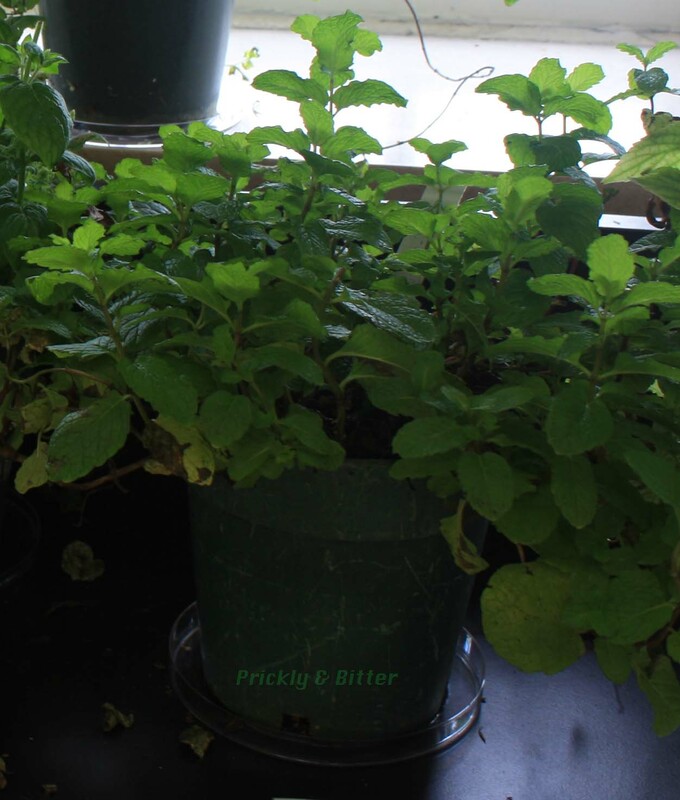 Peppermint plants produce huge numbers of rhizomes, which can grow underground and seek out new pockets of nutrient-rich soil to send up shoots to grow. This can cause the exponential growth seen in some areas, where for every one stem you pull out of the ground it seems like the plant sends up two more. Definitely a never-ending battle, and that mixed with the fact that it produces seeds that can blow away in the wind to create new plant colonies, means this plant is a very successful invasive species. 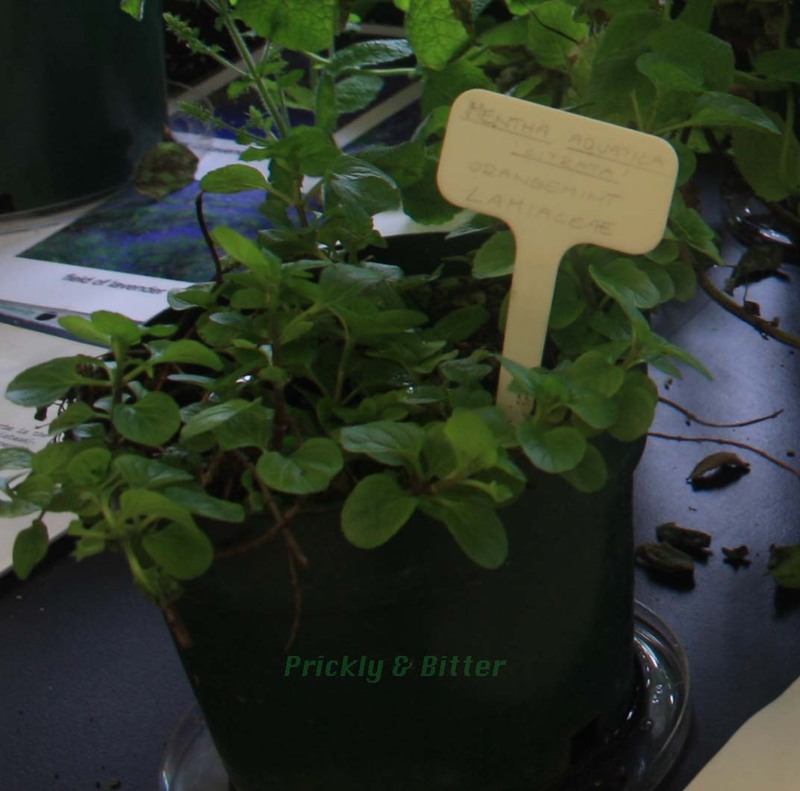 Because of the fact that almost all species of Mentha have the potential to become invasive, you should never, EVER plant this directly in the ground, and especially not if you live near an environmentally significant or environmentally sensitive area. Aside from the essential oil extraction, this plant is used for a remarkable number of uses. First, it is the most popular culinary additive in the world, especially in confections. In fact, there's recent evidence that its use goes back to 10,000 years ago in southeast Europe where it was found with other archaeological artifacts that suggest it was used to flavour food. It has also been used for medicinal purposes, as it is one of the most effective treatments for any kind of digestive issue from upset stomach to irritable bowel syndrome (IBS; there was a recent clinical trial that showed that the consumption of some amount, don't remember how much, of purified peppermint oil completely eliminated symptoms of IBS in 75% of women tested, and decreased IBS symptoms by at least 50% in all 15,000 women tested! 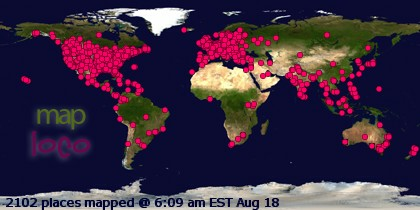 That's incredible!). Now you know why restaurants give you an after-dinner mint! It decreases the feeling of being bloated, by encouraging the formation of small gas bubbles in your intestines. Might make you a bit gassy after a large meal, but I think that's better than laying on the couch groaning for an hour or two! Purified peppermint oil has also been used as a natural insecticide, as even in small quantities it prevents insect herbivory on most plants when applied as a spray. Purified menthol has been used as a medicinal additive for decades, most notably in muscle creams to give that minty smell but also a cooling sensation (which is why muscle rubs with a high concentration of menthol work incredibly well as methods of decreasing the itch associated with mosquito bites! The cooling sensation takes away the itch). Another good thing about peppermint oil is that it is one of the only members in the genus that does not display carcinogenic or mutagenic qualities, even in higher concentrations than one would ever be exposed to. In fact, peppermint tea is one of the most widely recommended "herbal remedies" for mild cases morning sickness. 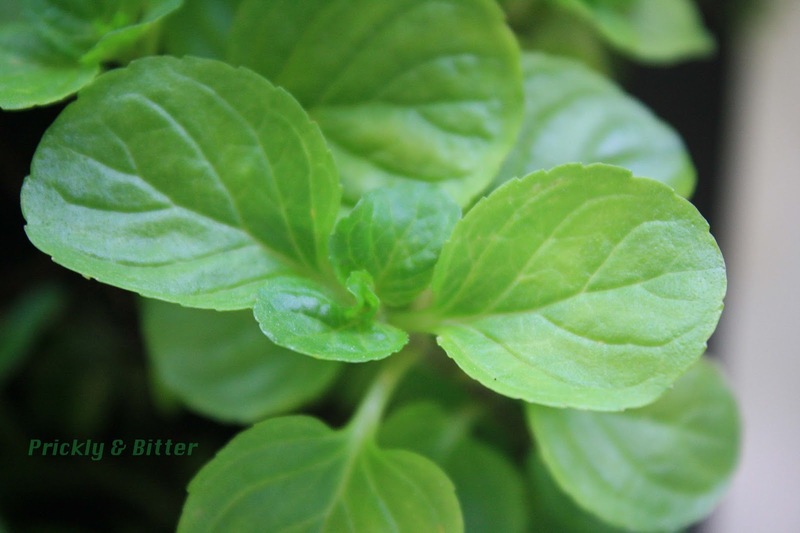 Spearmint is another incredibly commonly grown member of the mint genus, and like peppermint is incredibly invasive. It is not a hybrid so does produce viable seeds, but it also produces those same vigorous underground rhizomes like peppermint. Not a good combination! This species is native to Europe and southwest Asia, but is now grown commercially around the world. A very versatile plant, but one that should be treated very carefully; the flowers should be pinched off the plant before they're given time to set seed to prevent the spread of this species, and it should never, ever be planted directly in the ground. Often with mint species (and other species used as herbs in the Lamiaceae like basil, rosemary, sage, and thyme), it is suggested that the flowers be pinched off before they're given much of a chance to develop. This actually has very little to do with the reproductive cycle of these species but rather with their use to humans. All plants display a phenomenon referred to the "allocation of resources" during all points of the plant life cycle, but this is more pronounced during flowering and fruiting. You'll notice perhaps with a lot of fruit trees that once the fruit starts to develop on the tree the leaves will turn and fall off at even the slightest change in climate without damage to the fruit. This actually has nothing to do with the health of the tree and everything to do with the attempt to give your offspring a healthy chance at being able to disperse and reproduce. Because (for example) a peach takes so much energy to produce a big, fleshy fruit around the seed, if the plant is under any kind of stress it will try to reduce the stress without impacting the next generation. This is why sometimes (especially nearing the end of the season) the leaves on the plant suffer. The same thing happens with highly fragrant plants once they start to produce seed. The seed producing takes much of the plant's resource allocation away from the production of secondary compounds (what gives the plant the smell), and instead puts all that energy into seed production. Great if you're a seed and want a good chance at being able to grow, but bad for you as a gardener if you want basil (or spearmint) with flavour! For this reason, make sure the flowers are pinched off the plant as soon as you see them start to develop. This will confuse the plant, and it will forget it was ever attempting to reproduce, ensuring that your leaves retain their potent flavour. Like with peppermint (a hybrid created from spearmint), the essential oil of this plant shows very little mutagenic activity when tested. It is also effective medicinally against stomach ache, but so far hasn't shown much promise in the treatment of chronic digestive tract diseases or disorders. 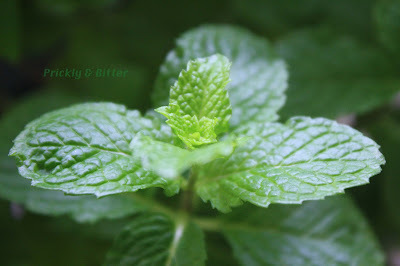 This is probably due to the fat that spearmint essential oil contains very little menthol and menthol-like derivatives. 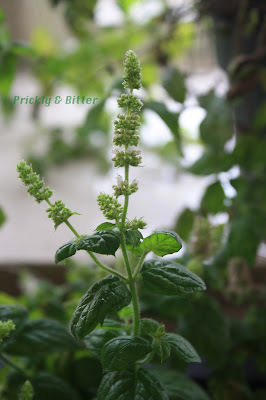 There has been the suggestion that spearmint oil can be an effective treatment for hirsutism in women, otherwise known as "excessive hairiness." Spearmint oil has anti-androgenic qualities, which means it can interfere with free testosterone in the blood. For those women that produce too much testosterone, this might be an effective treatment in reducing the amount circulating in the blood. Unfortunately, there are severe side effects associated with prolonged ingestion of concentrated amounts of spearmint oil such as kidney and liver failure. Until the dose-dependent and long-term effects can be minimized, this treatment won't ever make it on to the approved drug list in any country. Of course, we save the best for last. For those of you that have ever partaken in the consumption of the national drink of Cuba, you will likely have never had it made correctly :) Most places (or people) that make mojitos make it with regular old "mint," which is likely either peppermint or spearmint. This is all fine and dandy, but have you ever had one of those leaves or a piece of a leaf get sucked up in your straw and you have to make the decision to either eat it or spit it out? I bet you probably chose to spit it out, because of the "mouth feel" of the leaf. Both peppermint and spearmint leaves are very hairy, and give you a bad case of the "fuzzy tongue" if you consume a lot of it. 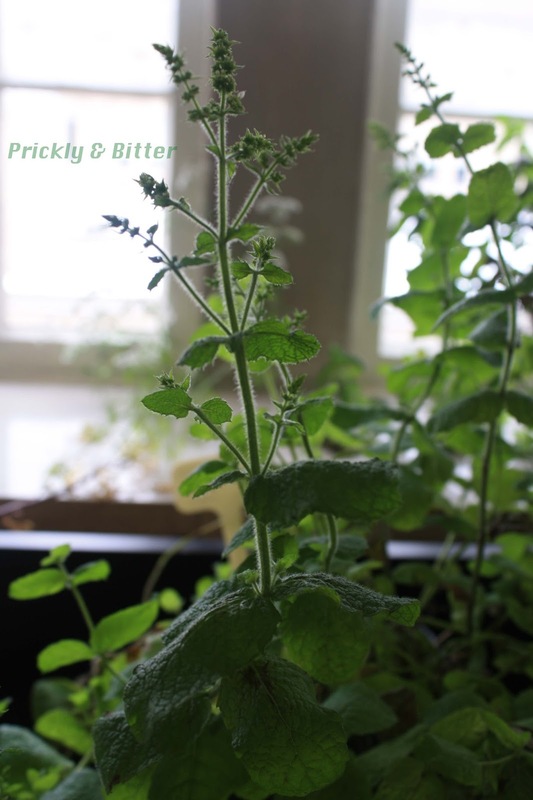 True mojito mint, on the other hand, has leaves that are almost completely smooth which completely eliminates the fuzzy tongue feel. A great culinary advancement when it comes to tropical beverages! This hybrid probably really did arise in the Caribbean, perhaps in Central or South America, and is referred to in Spanish as "yerba buena" or the "good herb" (this is especially true in Cuba). 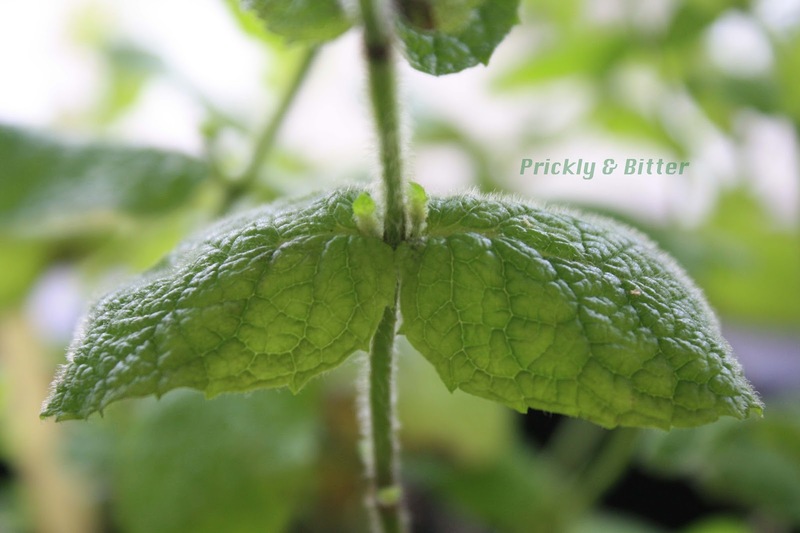 Many species of mint store at least some of their potent essential oils in glandular trichomes on their leaves, which is why they are aromatic just by lightly shaking the plant or touching the leaves. This is not the case in hairless varieties (or species), so the leaves must be treated carefully enough that you don't just get the "taste of plant" when you use them, but rough enough that you actually get the essential oils released from the leaf. This is done by muddling the leaves of the plant with sugar, sometimes alone depending on the species, to get the leaves to release their essential oils. When only using mint as a garnish and not in the drink itself, you always "spank" the mint to get it to release the essential oils. 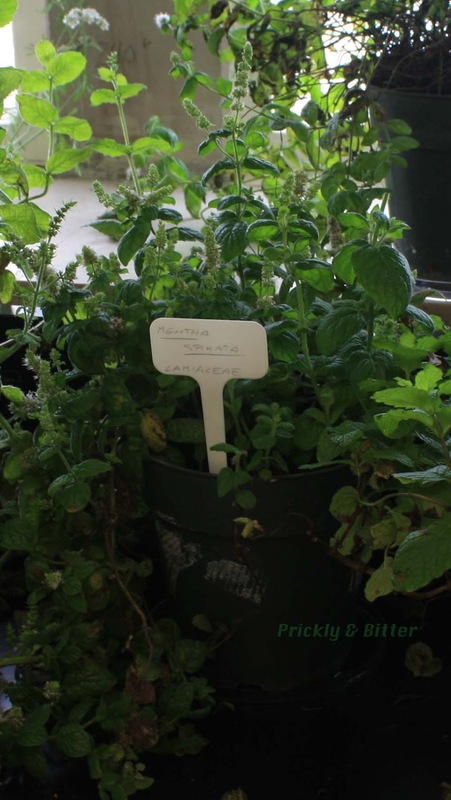 Mojito mint is an example of a sterile hybrid, so this plant doesn't produce viable seeds (in fact, the plant rarely produces flowers which is also a benefit for those that want to use it for the fragrant leaves). It does still produce those vigorous rhizomes, so care does need to be taken when planting it. This is especially true in tropical and sub-tropical areas as it is drought tolerant, heat tolerant, and has a prolonged growing season which makes it a potentially successful invasive species. This hybrid is actually so vigorous and withstands harsh conditions so well that our plant actually came back after a cold Canadian winter!